Hello all!! I hope this week has treated you all well! My sleeping pattern seems to have gone to pot yet again so back to the drawing board it seems on finding the cure for Insomnia - extra time awake does have its' advantages though on the reading front!! So it's been a pretty good week on the reading front - and on the front of acquiring new books for my collection too! November and December are definitely going to have to be turned into Book Buying Ban months!! I can do this!! Charity shops were my downfall this week!! I should know by now that I can't just go in and 'browse' as I always end up finding a cover that grabs me, or a title that i've been after for a while! So this week 4 caught my eye and had to come home with me! An interesting selection, if I do say so myself, and some perfect reads for the dark autumnal nights ahead so I can't wait to dive into these! Which one to start with though? Thoughts and suggestions gratefully accepted!! Been an enjoyable week of reading as those books I have managed to get off the TBR pile have been 4 and 5 star rating books! Rowan Hill means many things to many people, but to Ellie Hesketh it represents new beginnings. Putting her life back together after a break-up is going to take time, but the crumbling country estate—as much in need of TLC as she is—seems the perfect place to do it. 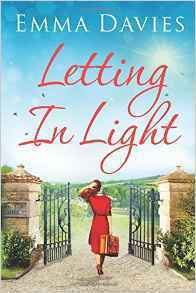 By turns heartwarming and heartbreaking, this story of friendship, forgiveness and unexpected romance reveals the lies we tell to hide dark secrets—and what can happen when we let in a little light. This was an e-book that I'd had on my Kindle for quite some time, and I thoroughly enjoyed the journey we followed Ellie on as she tried to overcome heartache and moving on with her life in a new location, amongst others who had been through some tough times as well. Highly recommeded! 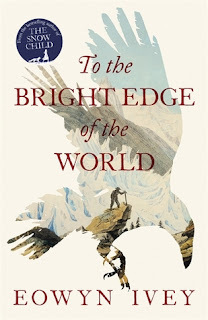 Set again in the Alaskan landscape that she bought to stunningly vivid life in THE SNOW CHILD, Eowyn Ivey's new novel is a breathtaking story of discovery and adventure, set at the end of the nineteenth century, and of a marriage tested by a closely held secret. A story shot through with a darker but potent strand of the magic that illuminated THE SNOW CHILD, and with the sweep and insight that characterised Rose Tremain's The Colour, this new novel from Pulitzer Prize finalist Eowyn Ivey singles her out as a major literary talent. I was a huge fan of The Snow Child, so was very eager to read this and it didn't disappoint! The author has such a beautiful way of capturing the surroundings and the personalities of their characters, that this epic adventure/love story was a captivating read from start to finish. Loved the use of diary entries, letters, photographs and sketches too that allowed you to go back to 1885 and experience the lives of Col Allen Forrester and his wife Sophie through their experiences of happy and tougher times. A must read! 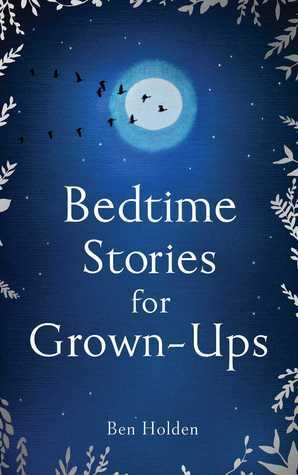 Some of today’s greatest storytellers reveal their choice of the ideal grown-up bedtime story: writers such as Margaret Drabble, Ken Follett, Tessa Hadley, Joanne Harris; Robert Macfarlane, Patrick Ness, Tony Robinson and Warsan Shire. Fold away your laptop and shut down your mobile phone. Curl up and crash out with the ultimate bedside book, one you’ll return to again and again. Full of laughter and tears, moonlight and magic,Bedtime Stories for Grown-ups joyfully provides the dream way to end the day – and begin the night . .
Was excited to receive this through Nudge and as the older I've become, the more attention I pay to sleep, and how the lack of it can affect me! And this is a fascinating look at the sleep process in a number of ways alongside various short stories, poems and essays on the subject of sleep, the night and dreams by a number of well known voices in the world of literature. I think this is one of those books that you can keep dipping in and out of and discovering something new each time you read more and it is also a great way of discovering new styles of writing - I will definitely be checking out a lot of the voices featured as I'd not read anything by some of them before. A fascinating read! Another fairly decent week then on the reading front - noticed the other day that i've now reached my GoodReads 2016 Reading Challenge total of 150 books so yay me!! Think i deserve a medal..... or another book or two to celebrate!